Give your kids a creative and fun outlet for their energy when you take them to play places in Staten Island. These are great places to go because even on rainy days your kids can run, jump, swing and slide at indoor playgrounds in Staten Island. One of the Most Fun Play Places in Staten Island! Chelsea Playground is a great place for the imagination. Kids will love the village of tiny shops and stores including a mini post office, firehouse, school house, pet store, ballet studio, and grocery store. There are places to dress up and pretend as well as places to run and play. Children can play on the colorful multi-level climbing structure that includes a twisty slide, obstacle course and tunnels or spend some time trying to scale the rock climbing wall. 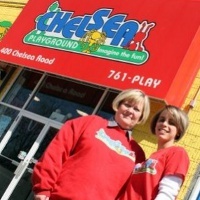 You can have your next birthday party at Chelsea Playground as well - see their website for details! 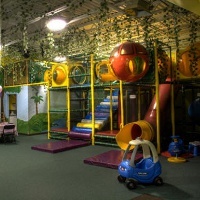 Wild Fun at this Staten Island Indoor Playground! When you bring your children to The Party Jungle for open play time they will have a great time playing on the brightly colored and inventive play structures. They won't lack for things to do at this play place - slides, climbing frames, ride-on toys, lookout holes and more are at this amazing facility. If your child likes spending time at The Party Jungle, why not have his or her next birthday party there? The caring and experienced staff will help you plan and pull off one of the most fun parties your child can experience.